Sdesbiens, I made it by myself with the base dies. 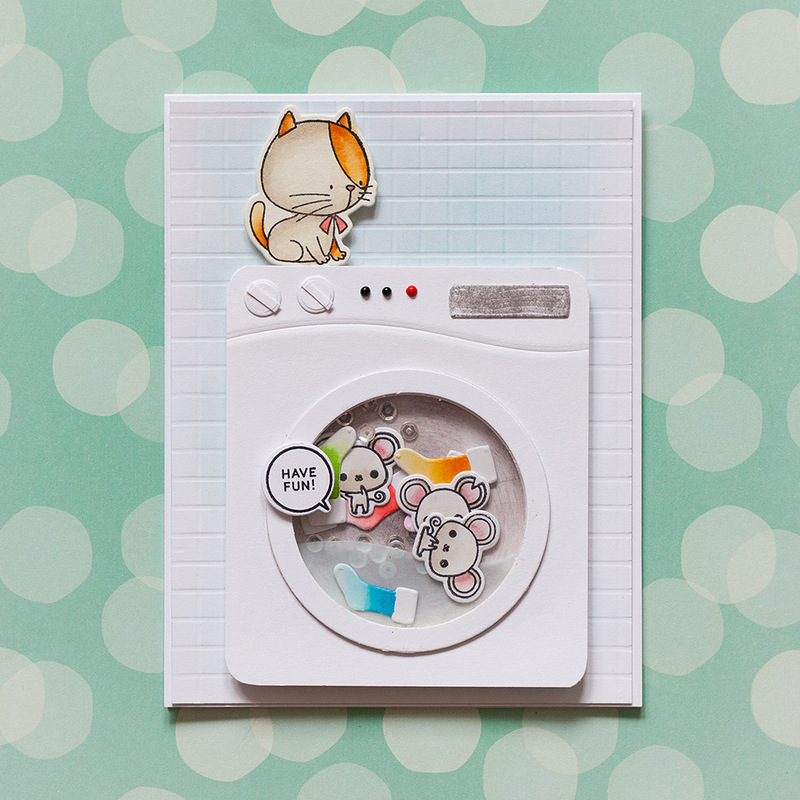 Is the washing machine a die cut or you crafted it your self? Such a cute card! Can anyone tell me who makes the mouse stamp/dies used in this shaker card??? I love this so much Anna! You're really amazing!!! This is too cute! I love everything about it - from the items in the washer to the details on the washer - this is fabulous!